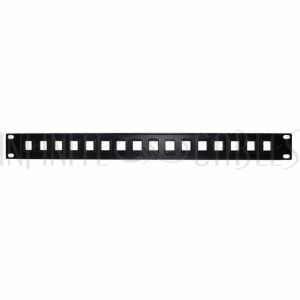 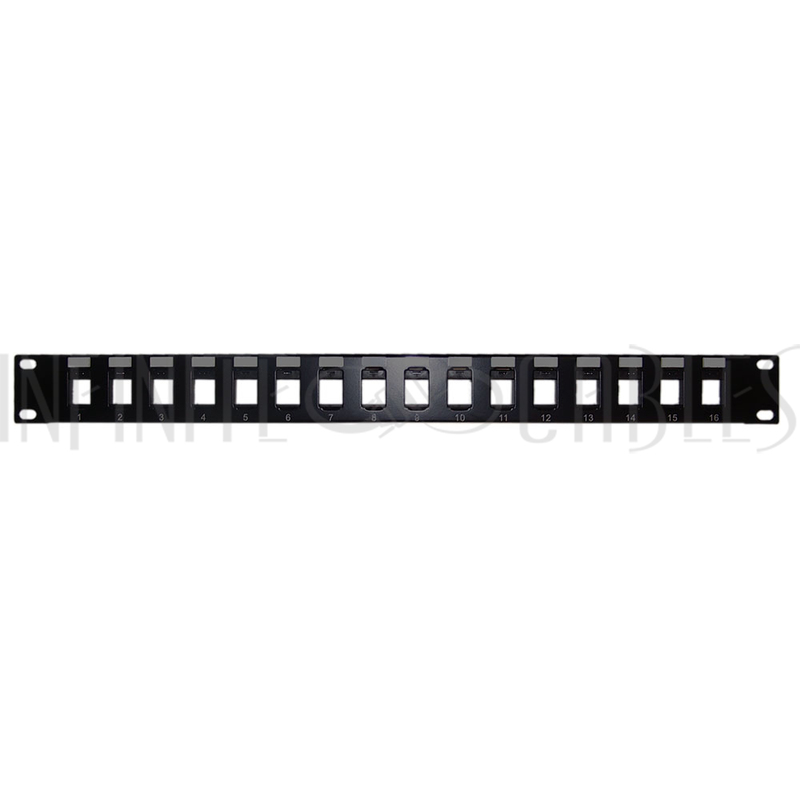 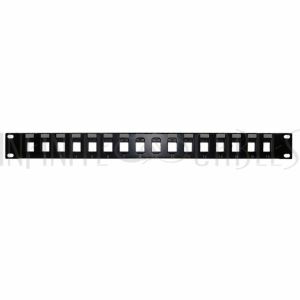 This 16 port patch panel comes unloaded and is 1U in height. 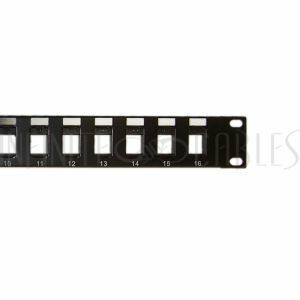 It can be fitted with standard networking and audio/video keystone inserts and is meant to be mounted on a 19" rack or cabinet. 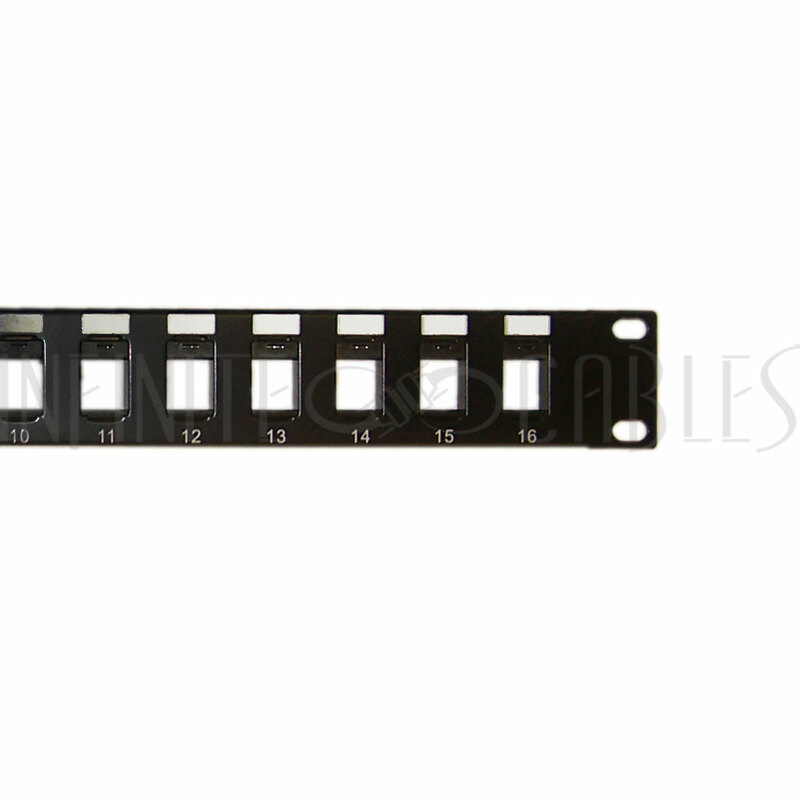 It gives you the flexibility to customize the panel to your specific installation requirements.